Enjoy a clear and powerful sound with our new WiSHAKE earphones. Universal, these colorful models with their fabric cord and handsfree function will follow you everywhere. 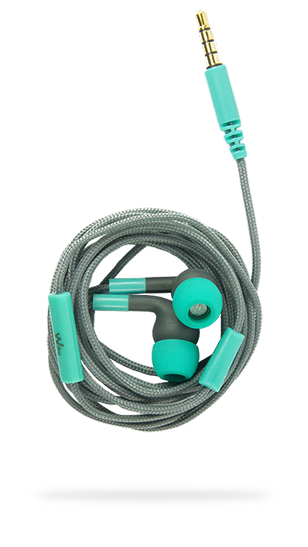 Adjust them to your ears thanks to the 3 sizes of interchangeable silicone earbuds.